Wasps, known for their stinging ability, are of the order Hymenoptera and the suborder Apocrita, which also includes bees and ants. Wasps play a vital role in pollinating but can become irritating and annoying when spending time outdoors. 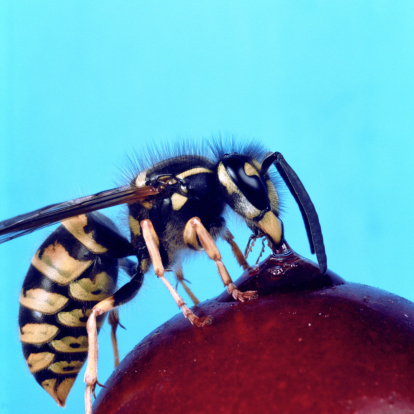 Wasps can pose a danger to those who are allergic to their stings. Social wasps live in colonies and build nests, whereas solitary wasps do neither. Reducing the scents of food when outdoors helps keep wasps at a distance. If eating food outdoors, try to keep it under wrap so wasps are not attracted to it. 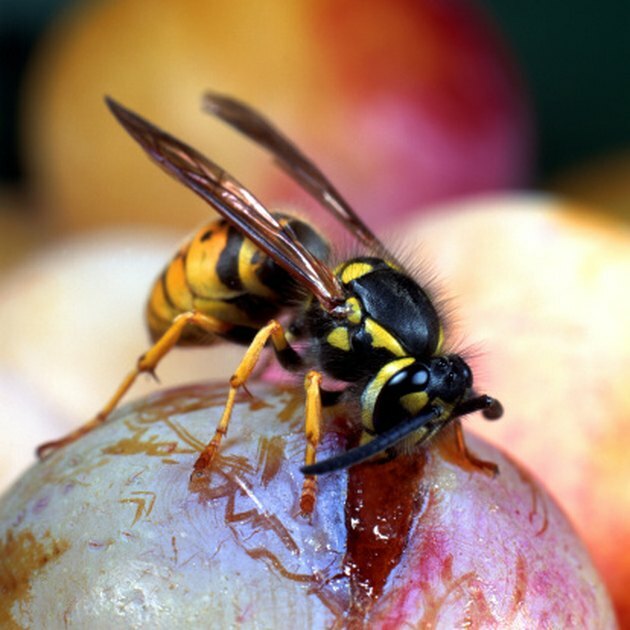 Wasps are especially attracted to items with a large amount of sugar in them. 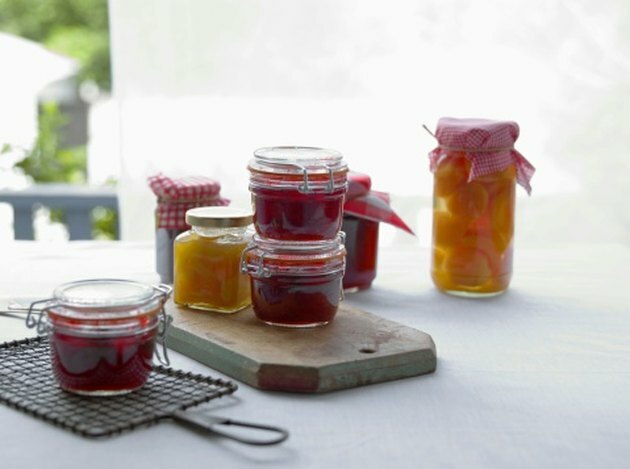 Whenever having fruit, soda, juice or any kind of food outside, be sure to keep it closed up. Anything from dog food to garbage cans also should have lids on them as wasps are attracted to virtually anything with a scent and smell. Overall, try to limit anything you keep outside. Hummingbird feeders also attract wasps. 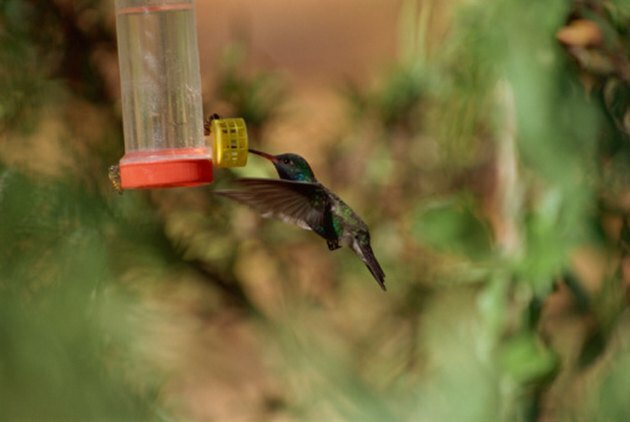 Bird feeders, hummingbird feeders in particular, have a high amount of nectar in them. Nectar found in these feeders tend to come off as very sweet and attractive to wasps. If there happens to be any sort of bird feeder in the yard, try to keep it as far away from congregating areas as possible. 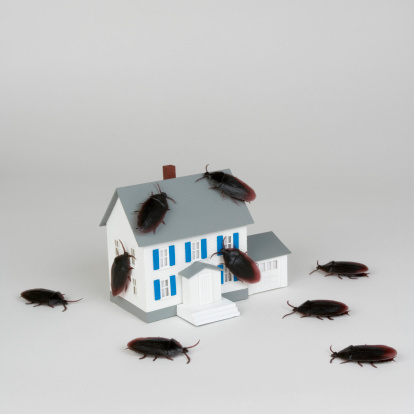 This helps repel wasps to areas away from areas you commonly occupy. Oil sprays, such as citrus or mint, stimulate insects' nervous systems to the point where they have a hard time breathing. For this reason, these sprays work great to repel wasps at points where they tend to come in close contact. These products also do not use chemicals, such as other repellents, so are safer to the skin if it comes in contact. Setting up a wasp trap is a great way to regulate the amount of wasps flying around areas of activity outdoors. You can purchase an effective wasp trap at most hardware stores. Follow the setup directions for the particular model you purchase and be sure to set it up in a tree or on the corner of the house in an area as far away as possible. This attracts wasps to the trap with the nectar inside of it, then traps them so they cannot get back out. 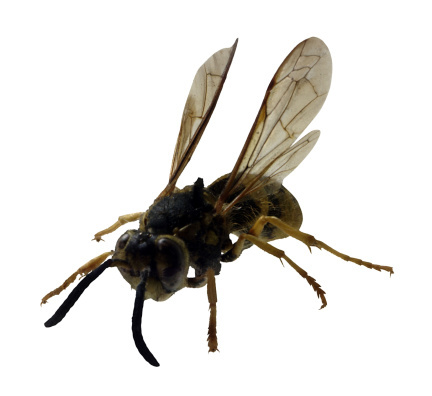 There are plenty of wasp repellent sprays manufactured specifically for repelling wasps and bees. Spraying these types of repellents directly on the wasp effectively eliminates them rather quickly. If the nest has been located, spraying the nest with these repellents at nighttime when they are most likely in the nest helps to eliminate the wasps at the source. Joe Thull started writing professionally in 2009, with work published on Cars.com and Autos.com. Thull obtained a Bachelor of Arts from the University of Northern Colorado, with a major in sociology and minors in journalism and media studies.